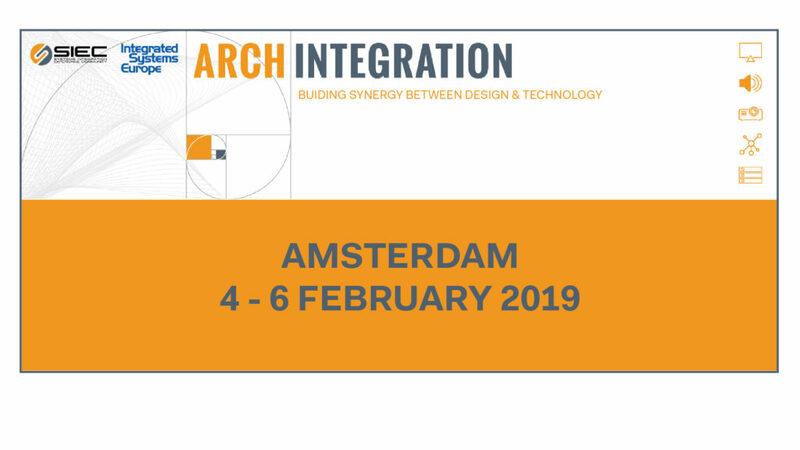 From February 4th until February 6th, Systematica will join the ArchIntegration program in Amsterdam. The initiative includes a two-day-event of networking with architects, engineers and industry specialists within the ISE (Integrated Systems Europe) 2019 Framework. Integrated Systems Europe is the world’s largest exhibition for Audio Video and systems integration professionals. The 2018 edition attracted over 1,300 exhibitors and 80,000 attendees, making it the biggest ISE so far. The ArchIntegration program organized by SIEC (Systems Integration Experience Community) promotes a dialogue between the world of architecture and the Audio-Video and Control (AVC) technology sector. Diego Deponte, Systematica’s partner and director is one of the 10 Italian architecture and engineering professionals invited by SIEC to strengthen the synergies between design and technology. For Systematica it will represent a great opportunity to exchange best practices, present its own experience and further discover how the latest AVC technologies are influencing users’ experience and interaction within large public buildings such as airports, stadiums or transport hubs. If you are also visiting ISE 2019, it might be a good chance to meet. To know more, visit the official website of the ISE 2019.